Here is what I think might have happened. 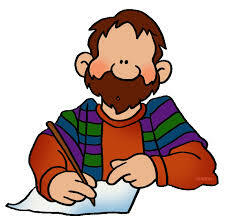 Sam the scribe, a very religious man, was hanging in front of his tent one day when he heard the voice of the Lord. Trembling, Sam said, “Yes Lord”, and ran inside to get the required tools of his trade. “I’m ready, Lord”, he said. God paused for a minute. Then He intoned: “Listen, Sam, I don’t want you to interrupt Me. I will speak and you just write down what I say as best you can. Some of this will probably be over your head, so just try to get the gist of it. Do you follow me?”. “Yes, Lord” said Sam, who had learned that that was the only appropriate answer to anything that God might ask or say. “OK. In the beginning there was a state of nothingness, no space, no time, no matter, no energy, just Me. I created the universe though a singularity in which there was the creation and rapid expansion of matter and energy, and the laws of physics emerged. There was a period of inflation during which the universe expanded faster than the speed of light. After a while, the universe got less dense and photons were able to escape the dense cloud of matter, and so there was light. Ah, that sounded better. Then he looked up expectantly. Sure enough, the Lord was ready. Sam said “Yes, Lord”, but of course he didn’t. Still, he had to write something, and he did know what land and the sky and the ocean were, even if things like gravity, stars, particles, gas, planets, and water vapor were mysteries to him. So he wrote down the second verse about the creation of heavens and the sky and dry land, separating the waters. And he ended the verse with his flourish about evening and morning, and used up another day. God continued. “Now, finally the Earth had cooled enough, and I created life. It wasn’t easy. I had to get a bunch of amino acids, nucleotides (cytosine was really tough to find), and other stuff into these tiny cells, and then make a genetic code, which means I had to create information, but anyway, eventually I got this living cell complete with DNA, and all the cellular and molecular biology necessary to allow for further evolution. Then I sat back and watched. It did take a while, but with time those cells evolved into multi celled organisms, they started doing photosynthesis, and finally the first green plants evolved. I was really happy to see those come about, because then I knew that it was all working out as planned. And sure enough, with that photosynthesis working, the plants did great and that’s why there are so many trees and bushes and flowers around.” God paused and waited expectantly. And then he added another day. This entry was posted in Christian faith, Humor. Bookmark the permalink.